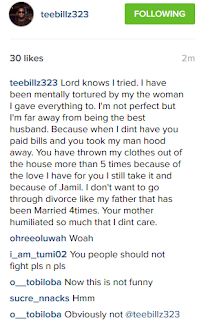 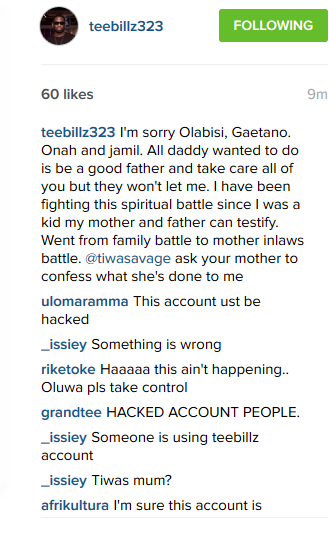 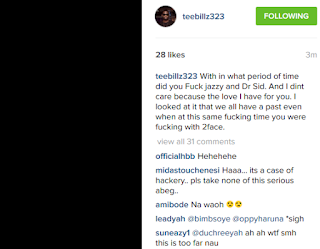 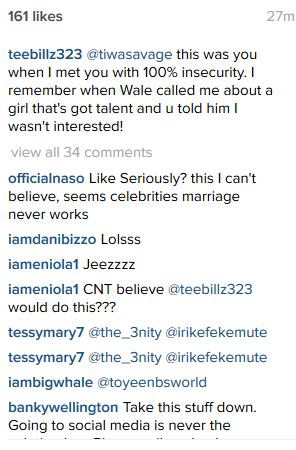 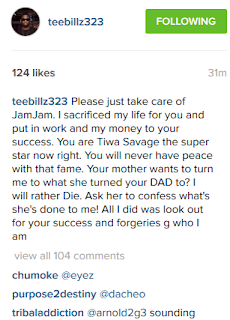 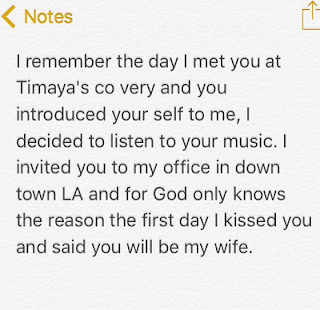 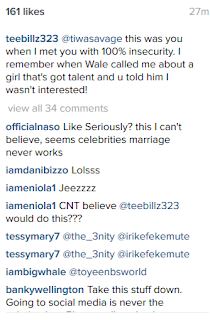 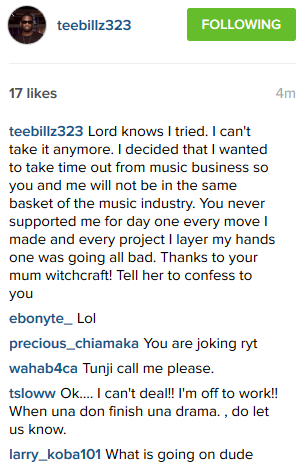 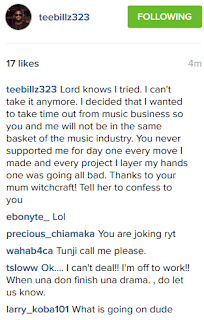 The clique you can trust: Teebillz and Tiwa Savage in Marriage Trouble? 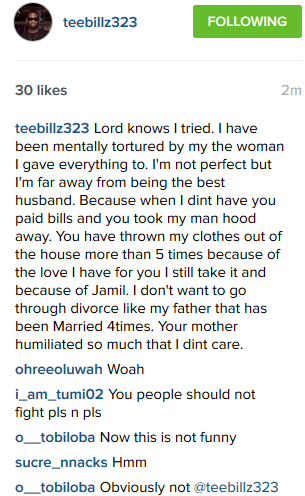 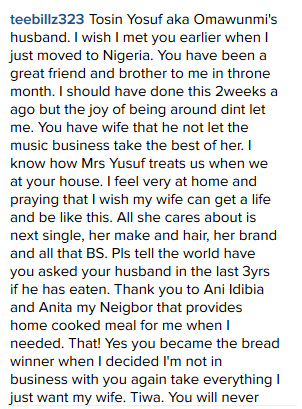 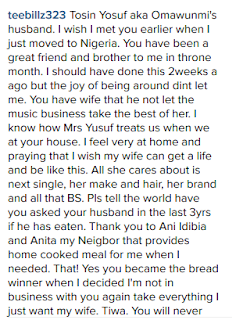 Teebillz and Tiwa Savage in Marriage Trouble? 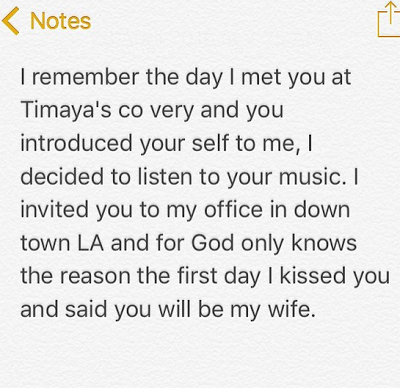 MAVIN's first lady Tiwa Savage is in the center of what could be termed a publicity stunt as her husband instagram account have been sharing some sensitive information about their union. 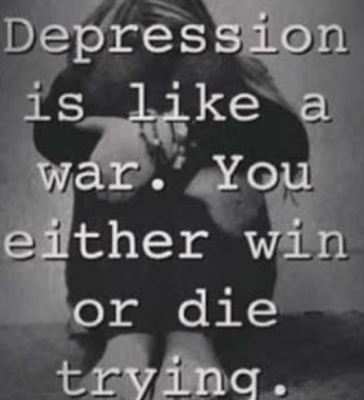 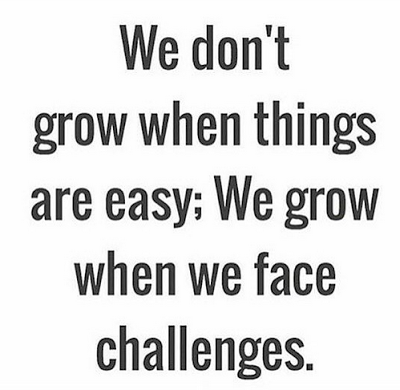 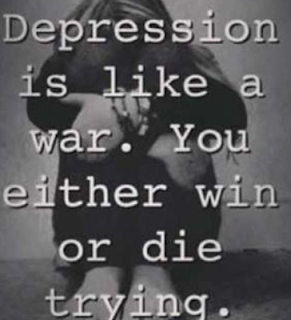 see pictures below and tell us what you think.